Lysol I.C. 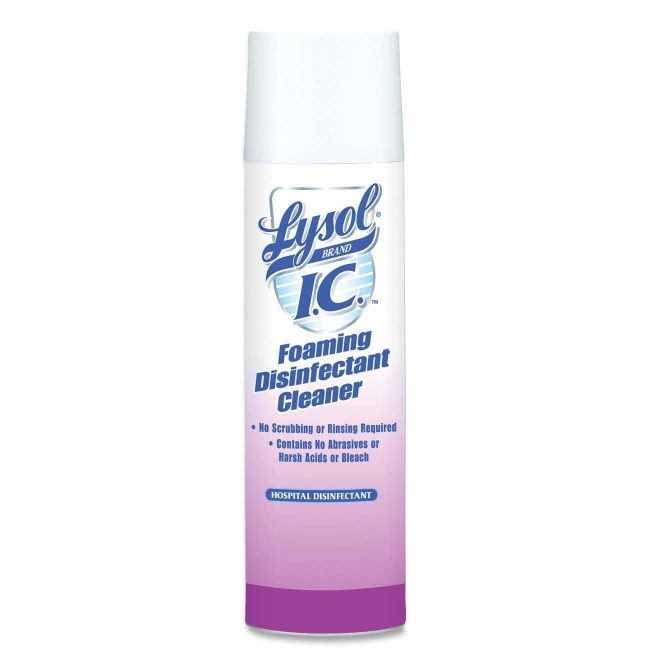 Foam Disinfectant Cleaner cleans, disinfects and deodorizes without using abrasives, harsh acids or bleach. No scrubbing or rinsing. Disinfectant cleaner meets AOAC efficacy standards for hospital aerosol disinfectants and offers one-step cleaning and disinfecting designed for use in all healthcare and institutional facilities.